“A quarter of a century after the collapse of the Berlin Wall, we have to admit that in our country a change of elites has been not been carried out. The same old faces, from the same unscrupulous security services of a totalitarian state today still are trying to dominate our society,” Bulgarian President Rossen Plevneliev said. 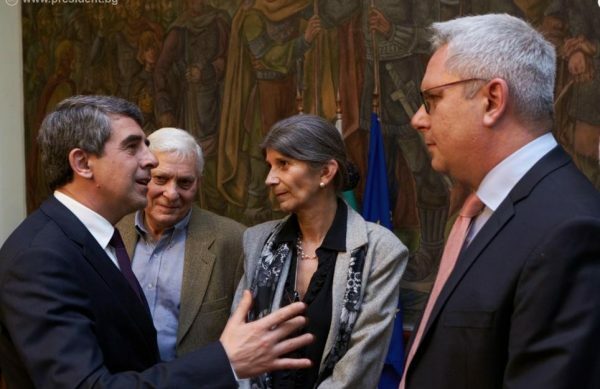 Plevneliev was speaking on February 24 at the launch of the book State Security – An Advantage by Inheritance, by Momchil Metodiev and Maria Dermendzhieva, a book in the “Past Imperfect” series by the Institute for the Study of the Recent Past. The book examines the careers of 47 staff of Bulgaria’s communist-era secret service State Security. Plevneliev said that these shadows of the past were transferred to the present. “They do everything possible to change our agenda, to deceive us how wonderful life was under communism,” Plevneliev said. He said that the cruel machinery of State Security had proved powerless before the people and their desire for democratic development and human rights and freedoms.